“Neměla byste zájem o spolupráci?” Ano, občas mi do mejlíku přiletí zpráva podobného znění a jelikož mám ráda výzvy, zpravidla nabídku přijímám. I have recently made a video review for a new yarn brand VlnaHep Perla (pearl in English). This yarn is a combination of 60%bamboo and 40%cotton. This thread has antibacterial and anti-allergic features. It warms you when you are cold and cools you when you are hot. When you double the thread for hats, it is also a perfect for winter time. On top of that it is suitable for babies. 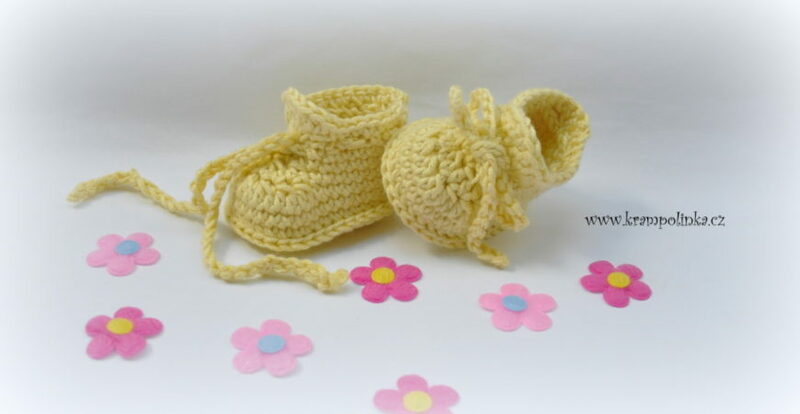 It is going to be almost a year I turned my private crochet hobby to a small business. I crochet to order, design and write the patterns, even making youtube videos. I learned a lot and the best thing is – I love it even more than last year. 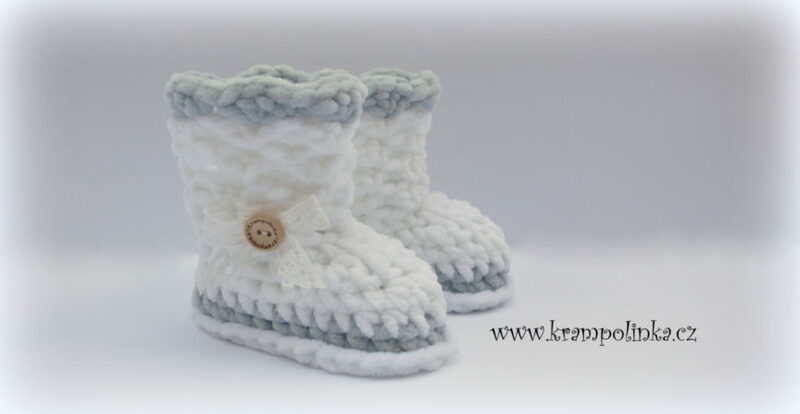 Recently I posted adult retro slippers with a pattern (not translated into English yet) and few of you asked me if I can make even a smaller size. 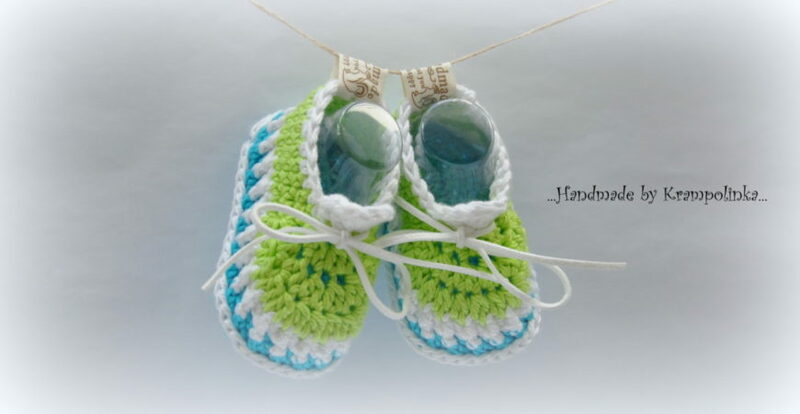 I started crocheting baby booties from the chenille yarn this August. I designed them and I was literally flooded with orders. But I was really curious what it is like wearing them.